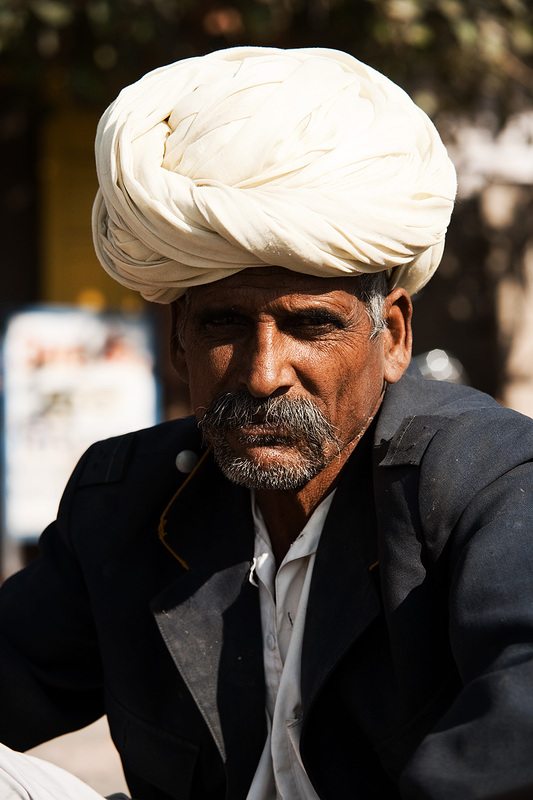 A ruggedly handsome, turban-clad Rajasthani man. It's not only the women that grab your attention in Rajasthan. Often the men have an appeal of their own for their other-era looks. Turban attributes such as color and style symbolize so many different things, I doubt even Indian men would find it easy to explain it all. 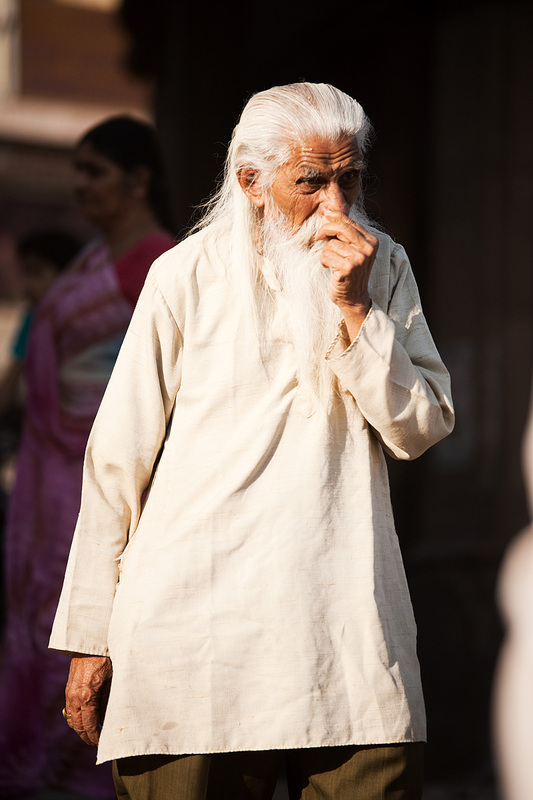 An aged Indian man recently walks through the main market in Jodhpur.